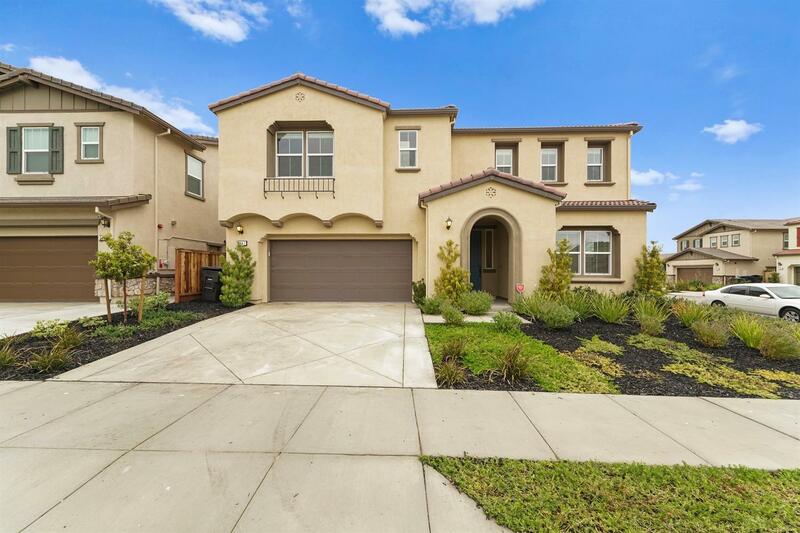 Opulent and stunning corner lot home in one of the most desirable neighborhoods in Tracy w/upgrades galore at time of new construction when built a little less than 2 years ago.No Mello Roos and no increased tax.The design of the home allows for space to grow both inside and out. Bright and beautiful gourmet kitchen featuring an island with imported Italian White Carrara marble tops.Stainless Steel appliances throughout the well lit kitchen that connects to an open and inviting dining/living area overlooking the gorgeously landscaped back yard. A full bedroom and bathroom downstairs to accommodate guests and family. Upstairs features a spacious master suite w/ walk in closets and a soaking tub. Large and roomy loft/gaming area for the family to gather and enjoy time together. Wet bar for entertaining guests.Home has virtually no signs of wear as the couple who owned the home only lived at home on weekends and holidays.